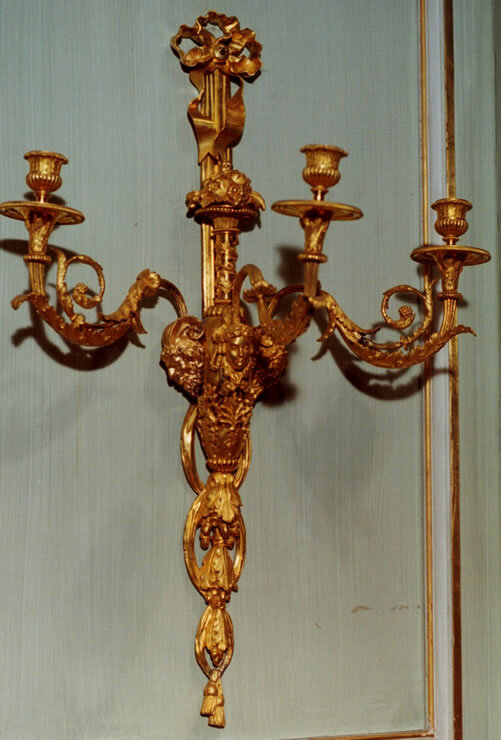 Two pairs of sconces in the Louvre, also attributed to Rémond are illustrated as Numbers 83 and 84 in Gilt Bronzes in the Louvre, (Éditions Faton, 2004). No. 83 shares the satyr and female masks as well as the vase that surmounts the appliques. No. 84 shares the female mask, the vase and has identical arms. Both these pairs resemble sconces made for the Count d’Artois and for the Tuileries. Ex Collection: Col. & Mme. Jacques Balsan.